How Does Pregnancy Impact Your Teeth? 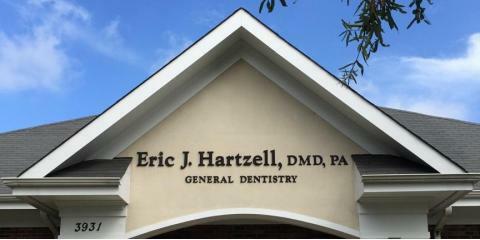 Since 1994, Eric J. Hartzell, DMD, has been offering expert dental care for the whole family. Located between High Point and Greensboro, North Carolina, Dr. Hartzell's practice is welcoming and conveniently located, so keeping up with your appointments is easy. Using state of the art technology, including digital x-rays with minimal radiation, this local dentist offers a full range of services in restorative, cosmetic, and general dentistry. Your oral health is linked to your overall health, and Dr. Hartzell’s practice prides itself on improving people's lives and educating the public for better ways to take care of their teeth and gums. With an emphasis on preventative care, Dr. Hartzell and his staff are committed to helping patients maintain healthy habits and wellness through every stage of life, from pediatric dentistry and beyond. When it comes to restorative and cosmetic dentistry, Dr. Hartzell’s team has the expertise you can rely on for a beautiful smile and sparkling teeth. If you need a dental bridge, tooth crown or root canal, each service is customized to your mouth’s shape and oral needs. Chipped a tooth? No worries, accidents happen, and when they do, Dr. Hartzell’s office is open for emergency visits and dental repair. Customer satisfaction and healthy smiles is what keeps this practice growing. If you have concerns about your oral health, their dentistry team will “de-mystify procedures and help give you a beautiful smile that you’ll be proud to show off.” With Eric J. Hartzell, DMD, compassionate and friendly service is a top priority, so you can relax knowing you're being treated with the utmost care. 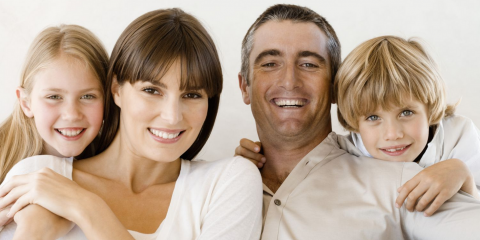 If you need an experienced dentist who provides quality dental care at an affordable price, schedule a consultation with Eric J. Hartzell, DMD, for your family. To reach their office, call (336) 886-8776 today, or learn more about their practice online through their website.